CRAWFORD COUNTY INDIANA - Baby Girl, formerly known as Little Girl, was in a bad way. She had a plastic graham cracker teddy bear container stuck on her head and wouldn't let anyone get close to her. 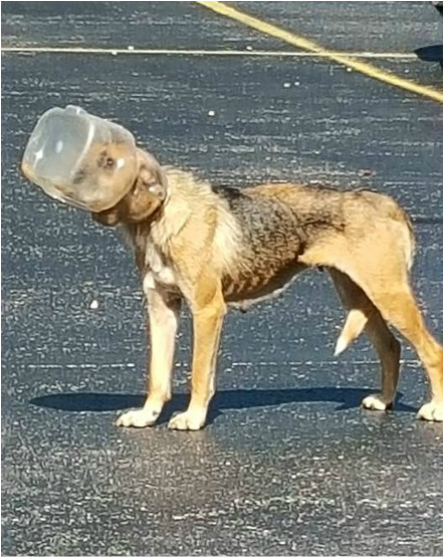 When this photo, taken by a concerned citizen in the school parking lot, was brought to our attention we immediately began making plans to free her. With temperatures in the 90s we didn't know how long she could survive. Prior to this, Baby Girl had been abandoned by her owner and she had been surviving more than a year by local people feeding her. However she had been familiar to many in the town for several years. The dog had always roamed around town and had litter after litter of puppies. She was always afraid and always hungry. Crawford County Indiana does not provide animal control services or an animal shelter so most animal protection efforts fall to volunteers. Many concerned citizens made an effort to catch Baby Girl. River Valley Crawford County Humane Society volunteers were there in the school parking lot four days. We constructed a plywood corral near the door of the school where she would normally find scraps of food. Finally the original owner of the dog managed to get her and take her to the vet to have the container removed. RVHS was offered responsibility for Baby Girl by local law enforcement. On July 29 we requested she be transported to Heavenly Hounds Lounge Pet Resort for a 30 day rehabilitation ordered by the veterinarian. Starved and dehydrated her recovery was slow. She was terrified and did not want to be touched. She eventually began responding to gentle loving care. As the 30 day deadline approached we were working to make sure we secured custody of Baby Girl. We contacted several local attorneys and the Animal Legal Defense Fund in California as we were seeking to keep Baby Girl safe and secure. We were prepared to fight for this defenseless dog and ensure her decent care for the first time in her life. Finally we were able to celebrate when we established she would remain safe and loved. 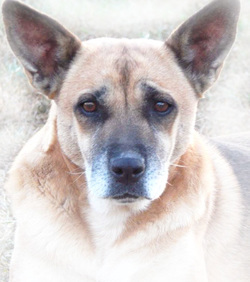 Heavenly Hounds Lounge - opened their facility and their hearts to this deserving dog. And Baby Girl has gradually responded. She fell in love with her very own bed and right away after going outside she went straight back to her soft blankets. First a tiny wag of the tail, then playing with the other dogs, it's been a slow process. Although she still cannot be approached and touched for the first time she has expressed joy at seeing those who she knows. What now? Currently Baby Girl cannot be adopted. Baby Girl has permanent sanctuary as she slowly learns she can trust people. She also needs additional veterinary care. Your donations will ensure Baby Girl continues her recovery. Please make your donation today. 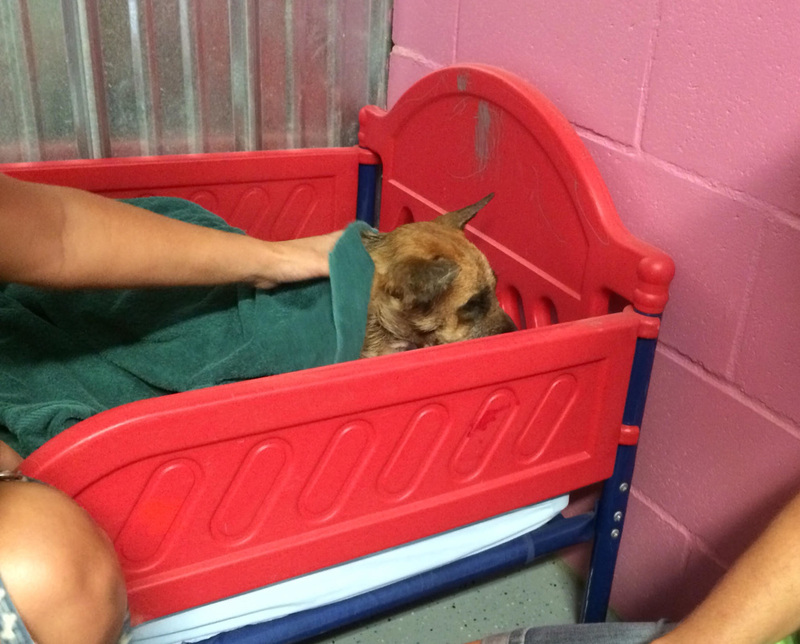 Baby Girl was given a bath and then led to her very own bed where she was wrapped in blankets and consoled. Although she wouldn't respond, gentle hands touched and soothed her. 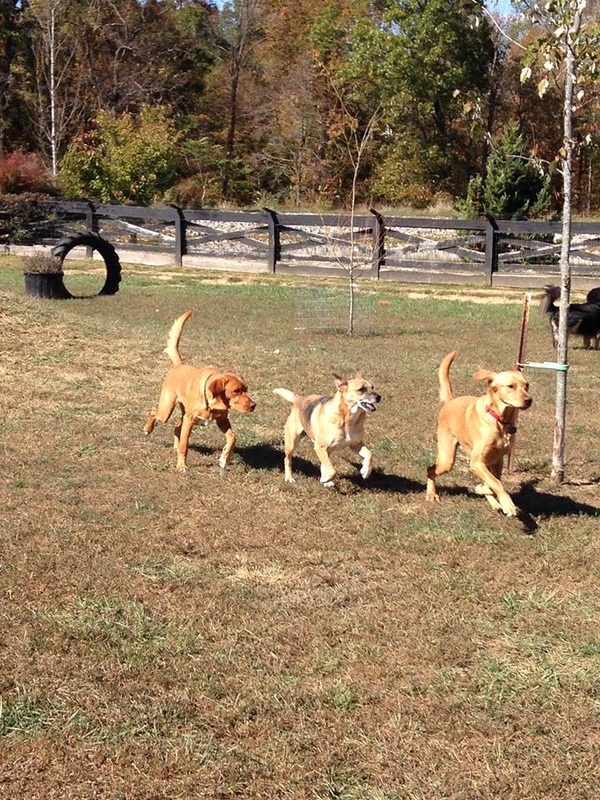 Baby Girl made friends and has learned to adapt as new boarders visit Heavenly Hounds. Baby Girl's soulful eyes touch our hearts. Words cannot express the love we all feel for this once abandoned neglected girl. Photo by James Johnson .